Vehicles are generally all equipped with safety precautionary devices like seatbelts and airbags. These built-in devices are designed to keep passengers, especially drivers, free from serious injury or harm. This is why in Nashville, there is a mandatory seat belt law. All drivers must abide to this law or they will get a citation from the Tennessee Highway Patrol (THP). The THP reported that in 2014, 50% of the people killed in auto accidents were not wearing their seatbelts. It is known that seatbelt use is one of the most effective ways to reduce injuries from auto accidents; it could even save your life. Yet, there are still a lot of people who do not use theirs. The goal of THP is to increase adherence of the seatbelt law year by year, so it can minimize, if not completely eradicate deaths due to auto accidents. However, even though a seatbelt has been used and an auto accident happened it doesn’t necessarily mean you do not get any injuries from the crash, at all. You could get some injuries from using a seatbelt, well at least, it was not much worse. In every auto accident, it does not always only involve the driver but there are times that passengers, especially kids, are also in the car. In Nashville, considerations from what type of safety restraints are also specified by law. The driver is responsible for children ages 9-12 years old, as well as those that are 13-15 years old. They have to ensure that the child is properly wearing a seatbelt when riding a moving vehicle. Children ages 9-12 years old may still be recommended to ride in a rear seat if available. The law in Nashville recommends rear-facing child seats for children under one year of age and weighs less than 20 lbs. This is to protect the child from brain injuries and spinal column injuries. Children at this age and weight are very prone to neck injuries as accidents like this whips their neck back and forth causing serious neck and head injuries, especially for babies. Violation of the child seat law is a felony or a class C misdemeanor in Nashville. There may also be fines and other educational classes that you may be required to participate when you violate the child seat law. Getting into an auto accident can be a huge shock. 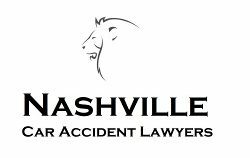 Calling a competent Nashville lawyer could be a great help, so you won’t need to worry about anything else but yourself. You may have injuries that you need to attend to first. You may also be entitled for compensation for the injuries you received from the accident. This is why calling an expert lawyer for assistance could be an excellent choice for you at this time of need.